The Massachusetts Military Heroes Fund is proud to offer community support to the families of the fallen through both public and private events. Public events bring our community together in acts of volunteer service showcasing our support for our military and their families. Private events are social gatherings designed to bring bereaved families together in an atmosphere of fun and mutual support. Family members wishing to access the private events should contact us at 617-482-0444. Our signature community building event! 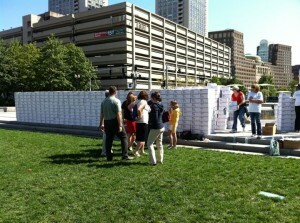 We and hundreds of volunteers create a majestic garden of flags on Boston Common for Memorial Day weekend. 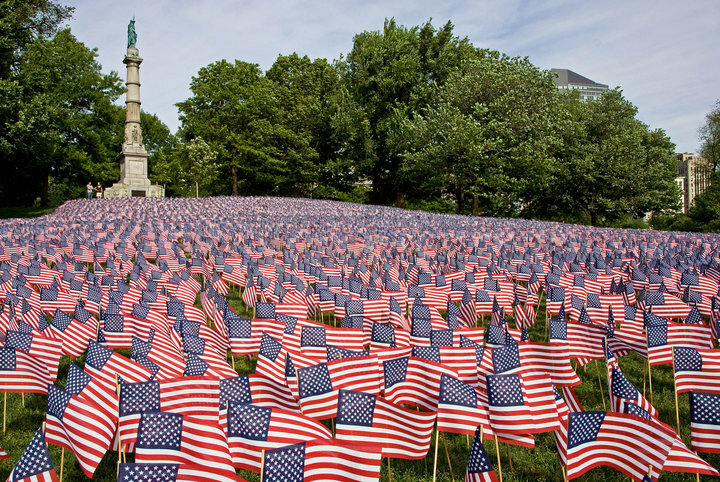 Each of the 37,000+ flags we plant at the Soldiers and Sailors Monument will represent every brave Massachusetts service member who gave his or her life defending our country since the Revolutionary War. The completed garden is a breathtaking tribute to the true meaning of Memorial Day and a powerful message of community support to the families of these fallen heroes that their sacrifices will never be forgotten. 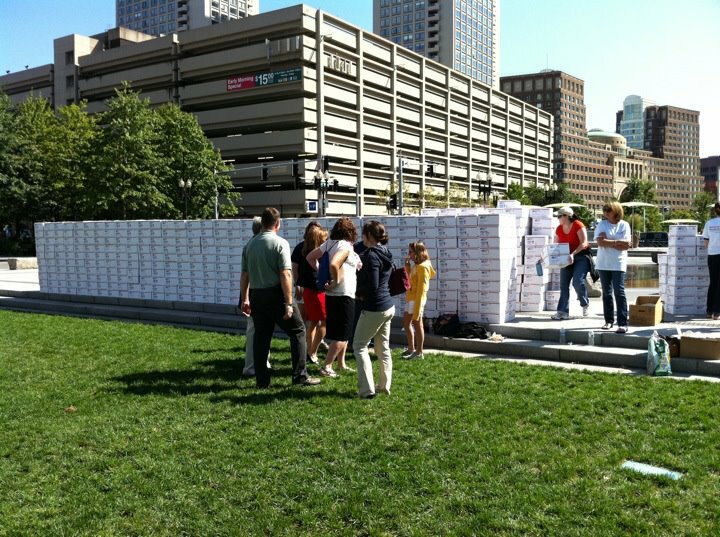 We rely on donors and volunteers to create this display and to stand watch over them throughout Memorial Day weekend. Volunteers interested in creating and caring for the flag garden are asked to register online. Donors interested in supporting the flag garden and year-round services for local bereaved military families can sponsor a flag online. Thank you to all of the 2018 Memorial Day Corporate Sponsors of our Flag Garden, with special appreciation to John Hancock for their key sponsorship and support. 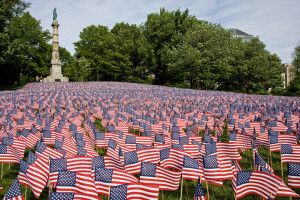 On the Thursday before Memorial Day, families of the Massachusetts fallen from post 9/11/2001 conflicts will read the names of their loved ones during our Remembering Honoring MA Heroes Name Reading Ceremony 2019 . By standing with us during this ceremony, you will let these families know that their loved ones’ ultimate sacrifice is honored and will never be forgotten. On behalf of the families we serve, thank you for your support!